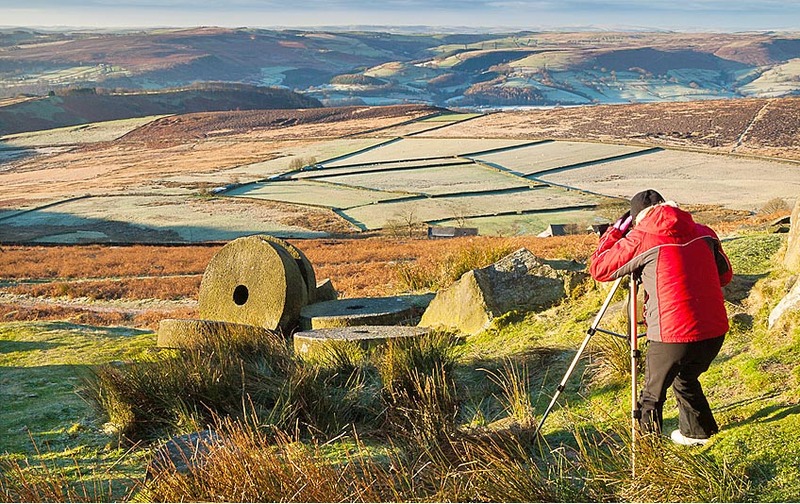 If you like the images that you see on the walls of the gallery, and would like to learn the skills required to create them, you can now purchase a day's instruction with one of the Peak Photo Gallery photographers. With many years of experience in working with the landscape of the Peak District they are the perfect guides on your photographic journey. Techincal instruction on the mechanics and operation of your camera. Guidelines on the structure and composition of images. A field trip to a selection of locations to practice. A day with one of our photographers costs £200. Additional guests cost £50 each and a maximum of three guests can be accommodated. Rates for larger groups can be negotiated. Please book your photography day at the Visitor Centre. If there is someone whose style you are particularly attracted to then please be sure to ask for a day with that photographer.